We’re new but we’re growing! 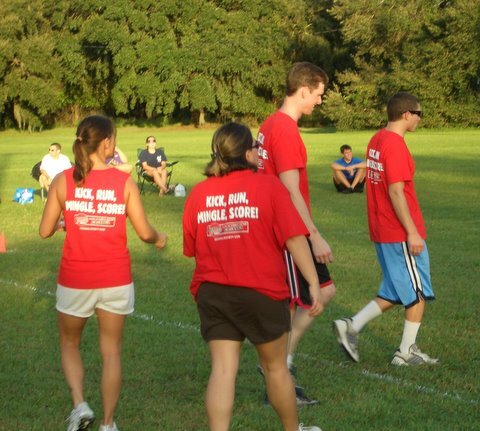 Kickball Society was formed in 2009 with the intention of giving adults in the Tampa Bay community a new way to socialize and meet people in the context of friendly athletic competition. Mixed in with the games are Theme Night, Kickball Idol contests and other challenges. Members meet after the game at the official league "bar and grill" to eat, drink and celebrate the night's victories. Kickball Society has leagues in North Tampa and Temple Terrace and is enjoyed by people in a wide age range. Watch our News pages for league dates and signup periods.